Recover faster from Stroke, paralysis, facial paralysis, over active or underactive bladder function with acupuncture treatment by expert by MD specialist 40 years experience, at modern 4.5 Star* rated clinic with dedicated staff. No drugs and no side effects! depends upon type of paralysis attack. Generalised paralysis affects paralysis of four extremities. Paralysis can also be partial, where some movement and sensation are present. Complete where there is full loss of function. Spastic paralysis where muscles are in spasm. Flaccid paralysis show flabby loose muscle. 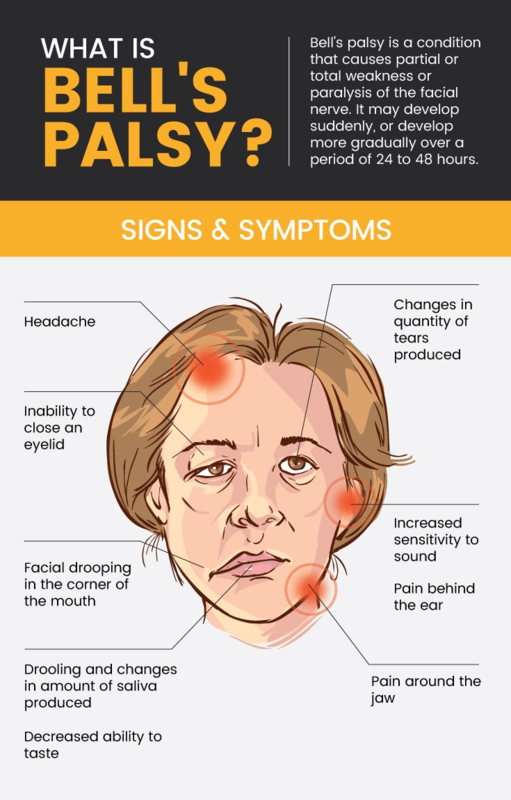 Temporary paralysis like Bell’s palsy or can be permanent paralysis if due severe injury. Symptoms of paralysis in legs may be first indication of paralysis. Paralysis meaning denotes not able to function. Paralysis definition is muscle paralysis with loss of the ability of motion or sensation of one or more muscles due to neurological deficit. There are three important reasons for paralysis disease. Stroke is one of important causes of paralysis. Head injury is also one of the paralysis causes. Spinal cord and its nerves injury can cause paralysis. 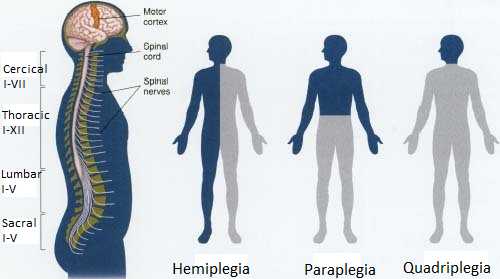 Other reasons for paralysis can be multiple sclerosis, cerebral palsy and others. Best treatment for paralysis in which a paralysis specialist doctor can give is to make patient adapt to the situation in best possible way with use of available resources. Currently there is no permanent paralysis cure. Wheel chair is first implement necessary for movement. Paralysis patient treatment may include driving aids for dependency reasons. Paralysis exercises are essential part of recovery management. Paralysis story can be lasting lifelong and need appropriate planning and execution. For complaints of spasticity, pain, infection and other may need paralysis medicine. Paralysis surgery like colostomy is sometimes indicated. Paralysis misery can be reduced to great extent of paralysis patient by acupuncture treatment. Paralysis recovery is faster and smoother with use of acupuncture treatment as confirmed by number of scientific studies. Acupuncture therapy has better effect on facial paralysis than routine Western medicine, and shorter treatment course. Yoga treatment for multiple paralysis, especially due to inflammation and can be effective to some extent. Yoga involving pressure on wrist or stretching back of hand can irritate median nerve and exacerbate complaints. Similarly Tai Chi treatment for paralysis is effective. Qigong treatment for paralysis, pain needs special training and can be useful tool of management. Respect warning signal of pain from body when doing exercises. Exercises must be slowly progressive. Sudden load on muscles or must be avoided. Patients report having taken Ayurvedic treatment for paralysis, and reported some relief also. Similarly, Homeopathic treatment for paralysis has also had some satisfied patients. Acupressure treatment for paralysis has limited scope. Bell's palsy symptoms include sudden paralysis of face muscle. Muscle may look flaccid and dropping down. Facial palsy pictures of face are very clear to point diagnosis. Facial Palsy diagnosis needs to exclude other causes of paralysis of facial muscles like stroke tumour and Lyme disease. Facial palsy test may include MRI and EMG etc. Bell's palsy, also known as facial palsy, is a paralysis or severe weakness of the facial muscles on one side of the face. It is believed to be due to a swelling of the nerve that controls the muscles of the face. There is no difference between Bell's palsy and facial palsy. This is temporary weakness of one side of face generally seen in morning. Facial nerve palsy patients cannot control muscles of one side of face. Bell's palsy nerve may cause one side of face to droop and affects saliva control. When in Bell's palsy eye is affected, it causes tear production. It may be confused with stroke but symptoms of facial palsy are quite clear. It can affect one in 5,000 people and facial palsy in newborn or Bell's palsy in children can also be seen. Bell's palsy pain in front and behind ear can also be present. Bell's palsy causes may be linked inflammation of facial nerve causing interference of nerve covering casing messages to facial muscles. The inflammation may be due to certain viruses. Acupuncture Treatment of Facial Palsy Multiple scientific studies find acupuncture effective for the treatment of Bell’s palsy or facial paralysis. Here are some of studies carried out! Bell's palsy treatment with prednisolon and speed up recovery but most people otherwise recover in 1-2 months. If it is given in first 72 hours it is more effective. Bell's palsy food to eat: Since there may be difficulty chewing and swallowing food, soft facial palsy food is advised. Facial palsy exercises include tightening and relaxing facial muscles which help its recovery in recovery phase. Facial palsy exercises in Hindi language are available on net. Bell's palsy physical therapy like Mime therapy is taught to patients for faster recovery. Facial palsy massage may also help in most of cases. Bell's palsy recovery in most cases will be seen in 9 months who do not have serious damage. Therefore Bell's palsy cure may be seen in most of cases. Similarly facial palsy physiotherapy treatment in Hindi also can be accessed from various sources. Bell's palsy association can help patients of facial palsy to faster recovery. The brain stroke or ischemic stroke is cerebro-vascular disease where brain cells die due to lack of blood supply due to blockage or rupture of artery. It needs to be diagnosed as early as possible and managed to prevent further damage. Cerebral stroke and cerebellar stroke kill one person every four minute. Stroke prevention depends upon health life style and avoiding risk factors like obesity, smoking, alcohol, and illicit drugs. Transient Ischemic Attacks or TIA stroke. These are mild stroke and also called as mini stroke. Stroke Causes depend upon type of stroke. Ischemic Stroke accounts for 85% of cases due to narrowing of artery due to blood clot, or sometimes fatty deposition. Hemorrhagic stroke is due to leaking or rupture of blood vessel due to hypertension, trauma, blood thinning agents, or aneurism. Intra-cerebral haemorrhage occurs after cardio-vascular accident (CVA stroke). Subarachnoid haemorrhage is less common. Transient Ischemic Attack occurs due episodic ischemia. One third of such patients may land into major stroke. Abbreviation F.A.S.T. denotes face dropping arm weakness, speech difficulty, and time to get help. Signs of a stroke in women are similar to those in men. Brain stroke symptoms including mini stroke symptoms or TIS symptoms include confusion, headache. Weakness part of body, difficulty of walking can be signs of a mini stroke. Trouble in vision can be one of the stroke signs. Other stroke symptoms in men may include bladder problem. Difficulty in expression, depression and pain are signs of a stroke in men. Stroke symptoms in women may also be similar. 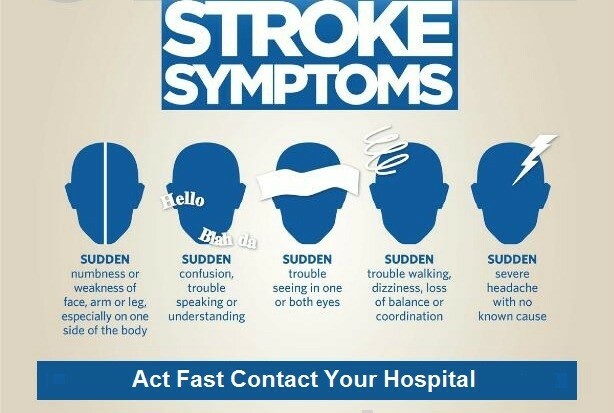 Sometimes there are no warning signs of a stroke and it can strike any time. With complaint symptoms and history signs of strokes are evident. There are numerous test those can be done like blood tests, CT scan, MRI, carotid USG, cerebral angiogram and ECG. Diagnosis of type of stroke must be established as fast as possible as treatment of both differs. Ischemic stroke treatment aims at breakdown clot, prevent forming clot for stroke recovery. Hemorrhagic stroke need to control intracranial pressure. Certain drugs, control of blood pressure and surgery can be necessary. Stroke changes life temporarily or permanently. Rehabilitation during recovery needs specific activities. Acupuncture treatment should be important part of management of post stroke period for faster and better recovery as confirmed by following number of scientific studies. Paralysis treatment in Nashik is available in Dr Pardeshi Acupuncture Pain Therapy. Many patients have benefited from the therapy as exemplified in this review. are either frequent urination or inability of passing urine, urinary retention or leaking of urine. Neurogenic bladder disorder is condition of bladder dysfunction either with overactive bladder or weak bladder resulting into retention of urine and frequency of urine. Neurogenic dysfunction may be due to trauma, disease or injury. The pathology may be at detrusor muscles or at bladder sphincter. 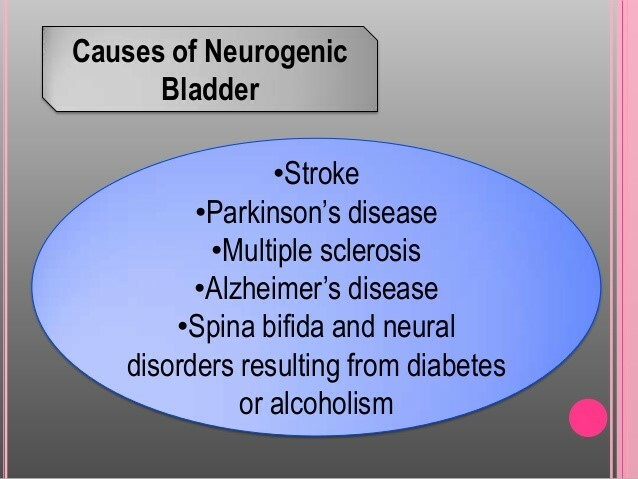 Neurogenic bladder causes may be due to following factors. Normal but traumatic delivery, supra-spinal lesions, brain lesions spinal cord lesions, sacral cord injury, peripheral nerve injury, brain tumour, Parkinson disease, Shy-Drager syndrome, spinal cord Lesions like -(Spinal cord lesions above the sixth thoracic vertebra, Spinal cord lesions below T6, Multiple sclerosis), Peripheral nerve lesions like ( diabetic cystopathy, Tabes dorsalis, Herpes zoster, lumbar disc herniation, pelvic surgery. Neurogenic bladder diagnosis involves urine examination, cystoscopy and renal function test are done to search for cause and assess status of urinary system. Neurogenic bladder ultrasound can be carried out initially for overall view. Post-void residual bladder volume, Uroflow rate, Filling cystometrogram, Voiding cystometrogram (pressure-flow study), Cystogram, Electromyography (EMG),Cystoscopy, Videourodynamics are also sometime needed. Neurogenic bladder research concludes that acupuncture is excellent mode of treatment of neurogenic bladder. It is far more simple, safe and without any side effects. Acupuncture should be first line of treatment of neurogenic bladder as hyperactive bladder treatment and underactive bladder treatment. We have treated many such conditions with very good success rate, except those with anatomical or physical cause. Even in case of spinal cord injuries, neurogenic bladder has improved well. Most of bladder dysfunction due to functional root, especially underactive bladder, responds very well to acupuncture therapy. Following studies will substantiate efficacy of acupuncture in neurogenic bladder. Please check our neurogenic bladder video on YouTube. Role of acupuncture is well established as per many scientific studies like following. Medical Care - Neurogenic bladder treatment options are many but acupuncture is first one to be tried. Neurogenic Bladder Treatment guidelines or treatment of overactive bladder with conventional therapy is according to cause, yet it is difficult, complex. Absorbent products are used to personal care when problem persist. It cannot be treatment. Catheters are short term therapy in case of retention. It carries risk of urinary infection and later complication. Indwelling urethral catheters are sure way causing neurogenic bladder infection, besides being very cumbersome. Supra-pubic catheters are preferred for spinal cord injuries. Intermittent catheterization again caries risk of infection but better than indwelling catheter. Surgical Care Peri-urethral bulking therapy, Sling procedures, Artificial urinary sphincter, Sacral neuro-modulation, Botulinum toxin injections, Bladder augmentation may be considered inappropriate situation. Fluid Intake restricting fluid intake for fear of bladder fullness may further worsen cognitions. Pelvic floor exercise help in continence of bladder function. Electrical stimulation has good potential of treating neurogenic bladder. Neurogenic bladder medications - Neurogenic bladder treatment drugs are not effective in treating neurogenic bladder disorder. Anticholinergic and antispasmodic drug treatment of neurogenic bladder: - Here anti cholinergic, antispasmodic and tricyclic agents are used. They have their own side effects. Prognosis : To cure neurogenic bladder one must consider all methods including acupuncture treatment judiciously. Neurogenic bladder is curable and prognosis neurogenic bladder is good.